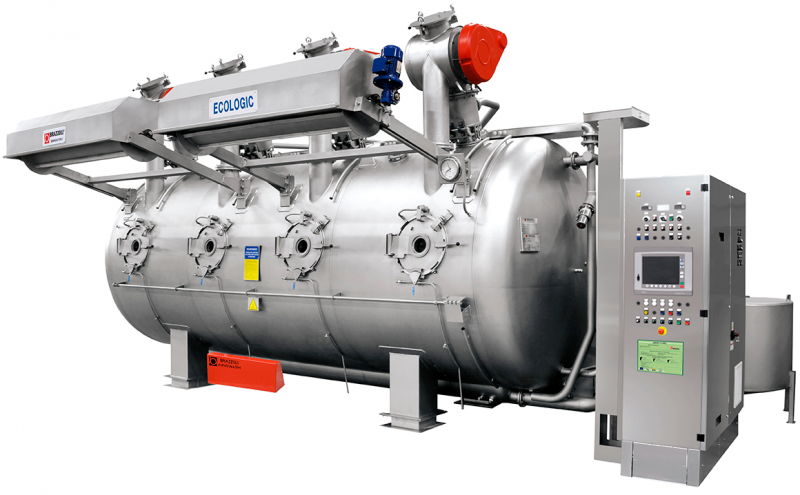 Ecologic Plus is the machine for rope fabrics dyeing process designed and produced by Brazzoli. An evolution of the previous Ecologic, this new version controls and automatically operates all the machine parameters (lap time, bath ratio, fabric absorption, pump speed, reel speed) as well as the dyeing phases. Thus optimizing consumption and costs and standardizing the dyeing results in different product batches. Innoecology is the standard machine for rope fabric dyeing process designed and produced by Brazzoli. The continuous innovation has made this machine a leader in terms of dyeing quality and uniformity and reduced environmental impact. 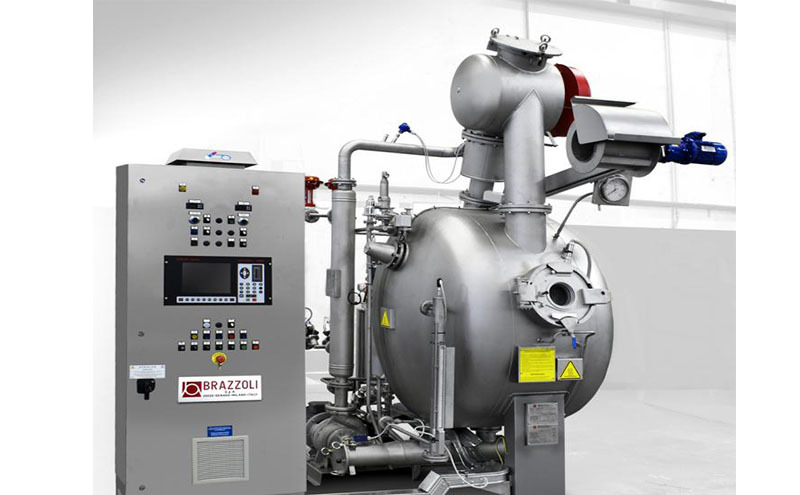 Aquarius is Brazzoli dyeing machine for samples and/or for small batches. It is ideal for those using Brazzoli production machines, faithfully reproducing the process. The fabric rope handling system, is exactly the same as the one designed for the dyeing machine used for important quantities, making the results obtained perfectly replicable. The machine is available in different sizes to better fit to customer needs. The bath flow, even if in a sampling machine, has been designed to obtain optimal action on the product and to be as uniform and homogeneous as possible. The samples produced with Aquarius guarantee high repeatability and reproducibility.